As the cooling mist falls from the Wild Thaiger’s expansive covered patio, one may feel as though he or she has found a true tropical oasis in the heart of Phoenix. This authentic Thai cuisine restaurant hopes to please every palate with its relaxing décor and made-to-order menu. Fans of fiery fare will revel in dishes that highlight the heat of the Thai chili, while more sensitive mouths will appreciate that they may order on the conservative side of spice. 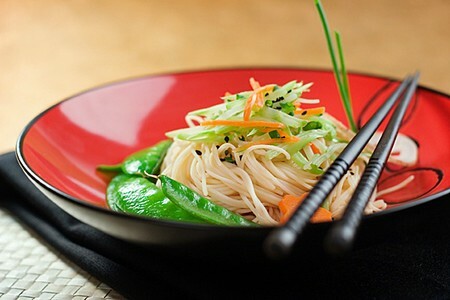 And vegetarians delight – tofu and veggie substitutions are offered in many dishes.